The world may still be hotly debating the much disputed decision between Saul Alvarez and Gennady Golovkin that astonished many on Saturday night, but we still have one more great fight coming up for us between Guillermo Rigondeaux and Vasyl Lomachenko! The fight will take place on December 9th in the super-featherweight class at Madison Square Garden. The contest has been in the making for a few years now, since Ukrainian Lomachenko graced the professional scene, capturing the WBO featherweight and super-featherweight titles. So far, he has had 10 pro bouts, winning 9 and 7 of those wins coming by way of KO. In 2014, Lomachenko attempted to make history by becoming a world champion in only his second fight but failed on points against Orlando Salido. That is a loss that many fans still want to see avenged. Vasyl Lomachenko oozes the class and tenacity that the fans love. Vasyl had a lucrative amateur career, winning gold medals in 2008 and 2012, as well as a silver medal at the 2007 World Championships. He has an abundance of skills and attributes including hand speed, footwork, tremendous accuracy and power all of which his opponents so far have failed miserably to overcome. Guillermo Rigondeaux, from Cuba, won gold medals in 2000 and 2004 at the Summer Olympics. He was also seven time Cuban national champion. He made his professional debut in 2009 and won the WBA-NABA super-bantamweight title in his 3rd fight. In his 9th, he won the WBA world championship with a stoppage win over Rico Ramos. 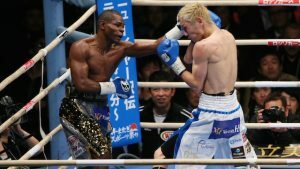 In the process, he has also managed to grab The Ring Magazine title as well as the WBO super-bantamweight crowns, and is now known as the lineal champion.On June 17th, Rigondeaux’s fight with the unbeaten Moises Flores ended in controversy after both boxers threw punches after the bell. Flores’ punches missed but Rigondeaux’s connected, sending Flores down. Referee, Vic Draculich first ruled it as a knockout win in favour of Rigondeaux, but the Nevada State Athletic Commission declared the bout a No Contest 9 days later after declaring that the punch that Rigondeaux landed was unintentional. Although the Cuban is blessed with rarely seen defensive abilities and athleticism that is almost unrivalled, he does lack a sense of urgency when fighting. This has caused the obstacle of not being a more than above average ticket seller. Lomachenko is the polar opposite of that! While he possesses a fantastic set of skills, he “presses the issue” to go that extra bit further in order to give the public what they want to see – to watch Lomachenko overwhelm his opponents and produce a spectacular knockout. This is one of those fights where it is difficult to predict a win. Rigondeaux may have looked laid back in his previous matches but one wonders if he will go through a couple of gears knowing what a threat Lomachenko is. And despite the tremendous accuracy of the WBO junior-lightweight fighter, will he be able to catch Rigondeaux regularly enough to pick up the points? At 36 years of age Rigondeaux’s skill set could visibly decline at any point from now. And if that is the case in December then Vasyl could have it easier than we think! Lomachenko is still only 29 and has several years yet to keep building his reputation. This fight will be a battle of two supreme boxing technicians that, may after all, not turn out to be the barn burner type of classic that a typical historical contest is often remembered for being. It can be foreseen that Guillermo v Rigondeaux will turn out to be a tense chess match with both boxers picking their moments. This could lead to the judges basing their judgments on who lands the cleaner punches more than who has worked harder than the other and hit jarringly. 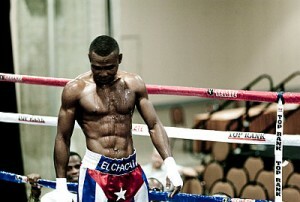 Will Rigondeaux make a statement against Lomachenko? Boxing purists will be sure to love what takes place on December 9th but the masses could be well disappointed if they are expecting a Hagler v Hearns type fight. Still, Rigondeaux v Lomachenko is the fight that the sport needs! And it is a necessity to keep proving that it can pit the best against the best and sweep aside all the politics that usually get in the way of giving us what we truly want to see. This is what boxing is about! 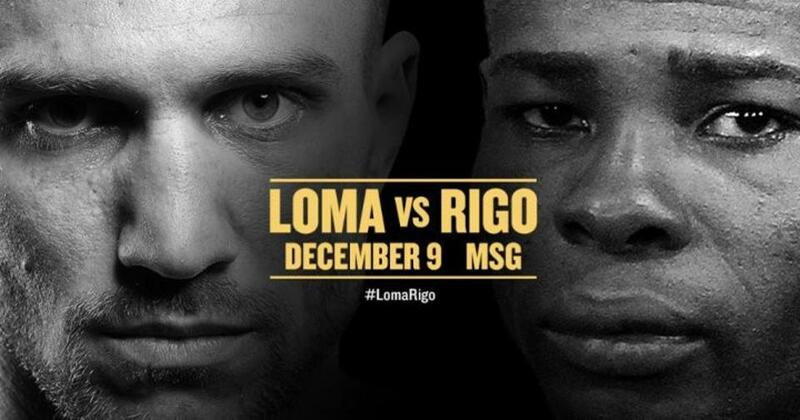 Lomachenko and Rigondeaux is Happening!